The MicroMaxx is also suitable for pediatric, prostate, superficial, and transcranial applications, among others. Simply put, SonoSite portable ultrasound machines are designed for quick, easy procedures where image, speed, and ease-of-use are the primary concerns. The SonoSite MicroMaxx, along with other SonoSite portable ultrasounds, is essentially a no-frills, get-the-job done portable machine. 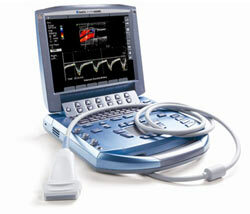 It’s most often found in situations where physicians are doing the scanning themselves, using it as a visual tool to confirm a diagnosis, guide a needle, or to look at tissue.The MicroMaxx is one of the most popular portable ultrasound machines on the market today and continues to be one of our top-selling portable ultrasound machines.